Pro-government candidates will be competing against each other as well as opposition candidates. The Maldivian Democratic Party launched its parliamentary campaign Friday night as coalition partners awarded tickets to rival candidates ahead of the April 6 elections. With the four coalition parties unable to reach an agreement on jointly contesting, pro-government candidates will be competing against each other as well as independent and opposition candidates. The MDP is fielding candidates in all but one of the 87 constituencies, a decision that drew accusations from the Jumhooree Party of reneging on an unpublicised coalition agreement. But the MDP insists there is no binding agreement signed by all four leaders. 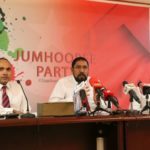 On Wednesday night, the JP awarded tickets to 36 candidates – including most of its lawmakers, leadership figures and new recruits from the former ruling party – after the party’s council gave the power to choose candidates to leader Gasim Ibrahim. More candidates, who would be chosen based on electability, would be announced in the near future, he said. JP candidates include former police chief Abdulla Nawaz, former youth minister Iruthisham Adam and several lawmakers who switched from the former ruling party. Gasim reiterated the JP was open to forming alliances with other parties, declaring that he has no political enemies and criticising the MDP over its decision to stand alone. 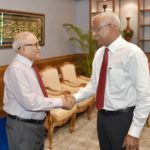 Former president Maumoon Abdul Gayoom – who announced last week plans to form a new party after the Supreme Court dealt a blow to his bid to regain leadership of the Progressive Party of Maldives – meanwhile endorsed 32 candidates who would contest as independents, including son Faris Maumoon, who is contesting for the Machchangoalhi North constituency in the capital. More than 100 loyalists have expressed interest in running with the former president’s support. Other ‘Maumoon Reform Movement’ candidates are due to be finalised on Monday night. The religious conservative Adhaalath Party is fielding 13 candidates. A primary was held on January 26 to elect its candidate for the Raa Inguraidhoo constituency. The coalition party contenders will face off against candidates from the main opposition Progressive Party of Maldives led by former president Abdulla Yameen. Yameen was confirmed as the PPM’s leader last week after loyalists formed a new party called the People’s National Congress, expecting an unfavourable ruling from the Supreme Court in the PPM leadership dispute. A coalition agreement was promptly signed between the two parties after the Supreme Court ruled that the PPM congress in September where Yameen was elected as president was legitimate. The PPM-PNC coalition has since awarded tickets to 62 candidates, including lawmakers and former ministers. 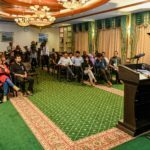 On Saturday night, the Maldives Third-Way Democrats led by Yameen’s jailed former vice president Ahmed Adeeb invited interested candidates to seek the party’s ticket. 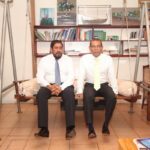 The PPM’s former coalition Maldives Development Alliance, led by resort tycoon Ahmed ‘Sun’ Siyam Mohamed, is also expected to field candidates, including the party’s four lawmakers. The newly-formed Maldives Labour and Social Democratic Party, which stands for worker’s rights, announced it would be contesting but has yet to award tickets. Independent candidates, many of whom were among the first to disclose personal finances, have also been canvassing support. Several candidates are part of a burgeoning leftwing movement called Navaanavi. The deadline for submitting candidacy papers is February 21. After nationwide primaries last month, the MDP officially launched its campaign at a rally dubbed ‘Agenda 19’ at the artificial beach in Malé. President Ibrahim Mohamed Solih urged voters to elect pro-government candidates to help fulfil campaign pledges. “It is vital for the parliament to have a government’s majority. And MDP can play the most important role in parliament,” said Solih, who won September’s election as the MDP candidate with the backing of the coalition. The MDP’s legislative agenda for the 19th parliament includes bills to introduce a minimum wage, unemployment benefits and a personal income tax. Pursuing transitional justice and reforming the judiciary by delineating the roles of the Supreme Court and the judicial watchdog are also top priorities in line with President Solih’s pledges. “President Ibrahim Mohamed Solih was elected to fulfil the third manifesto of the Maldivian Democratic Party. This is the second government of our party,” declared former president Mohamed Nasheed, who is among the MDP’s candidates. 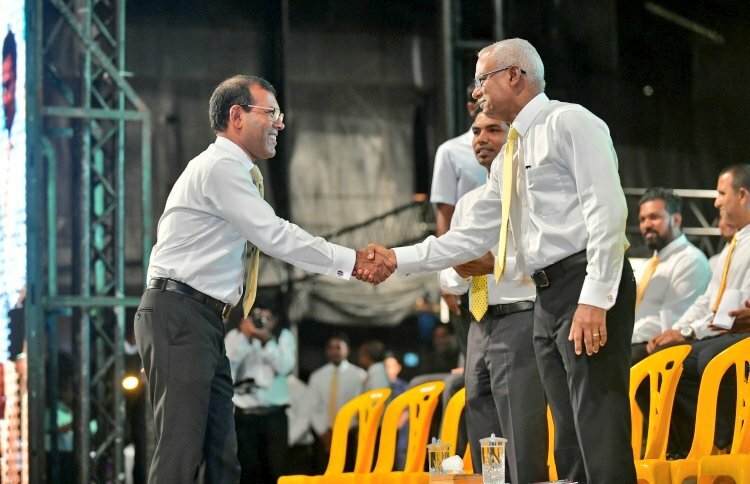 It was the MDP’s economic reforms during his three-year administration that introduced direct taxation and increased the state budget threefold, Nasheed added. Unlike other parties, the MDP’s “hands are free” to reform the judiciary and tax the wealthy, he argued. 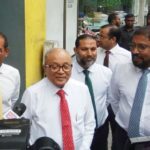 “This party does not have an interests in ongoing trials involving hundreds of millions of rufiyaa…Our hands are not tied to increase the profit of a company,” he said in apparent references to former president Yameen and business tycoon Gasim.